Well much has happened since my last post. 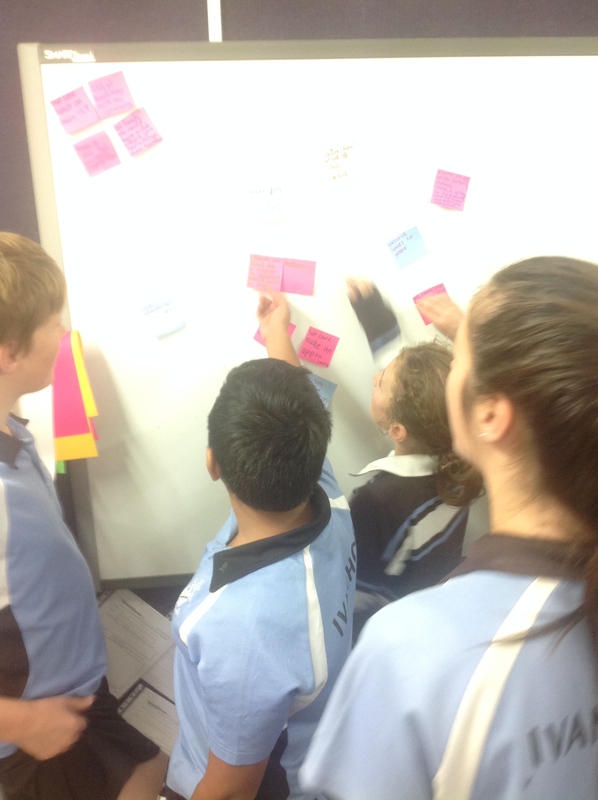 I have met with the Digital Leaders at each campus for our first brainstorm session. The focus of the first session was to develop a common set of expectations for each other and to generate a list of ideas for projects and initiatives. 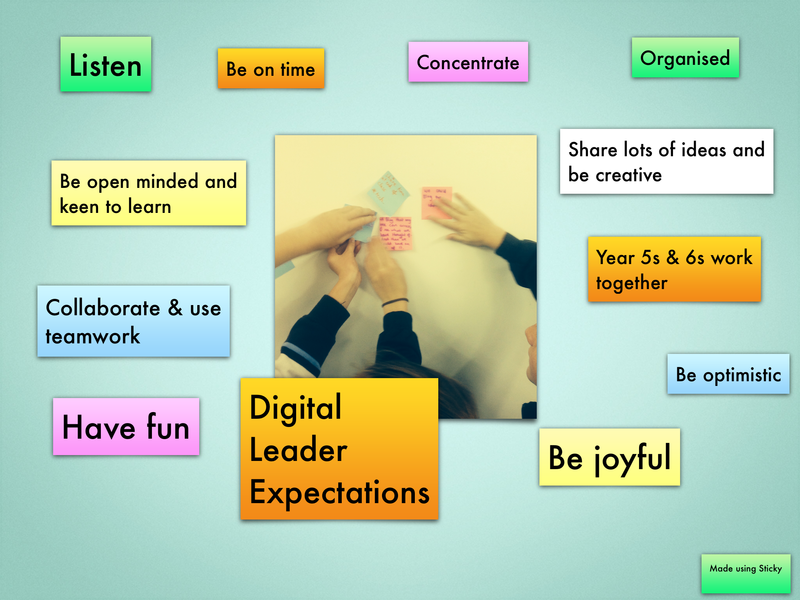 The question that I posed to the students to assist with setting the expectations was “What do you expect of your fellow digital leaders? The below list is a collation of the expectations from both groups. 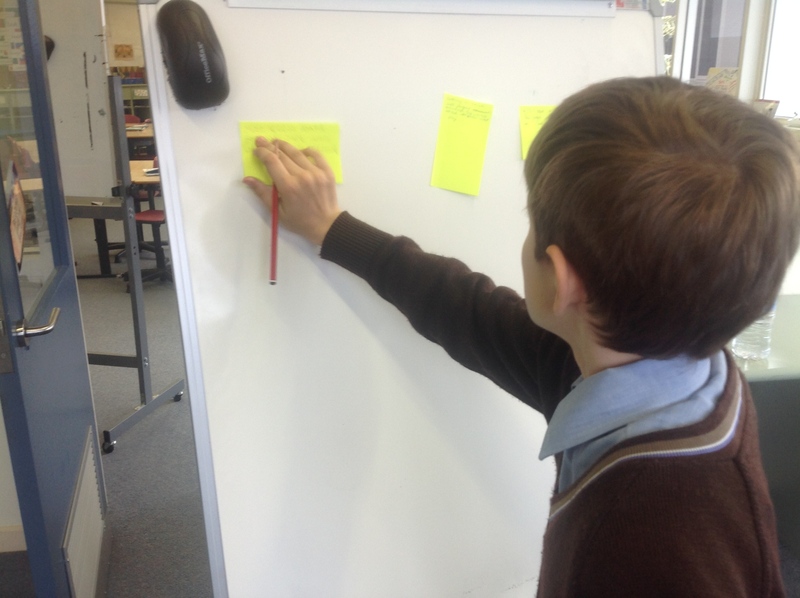 This is the glue decided upon by the group to unite the Digital Leaders. The brainstorming session for projects and initiatives was framed by the ideal “that there is nothing we can’t do or achieve, so list your idea no matter how big or small.” Each idea was put on to a post-it note (I know…very high tech) and placed on a board near a similar idea. Once again all of these ideas were collated. 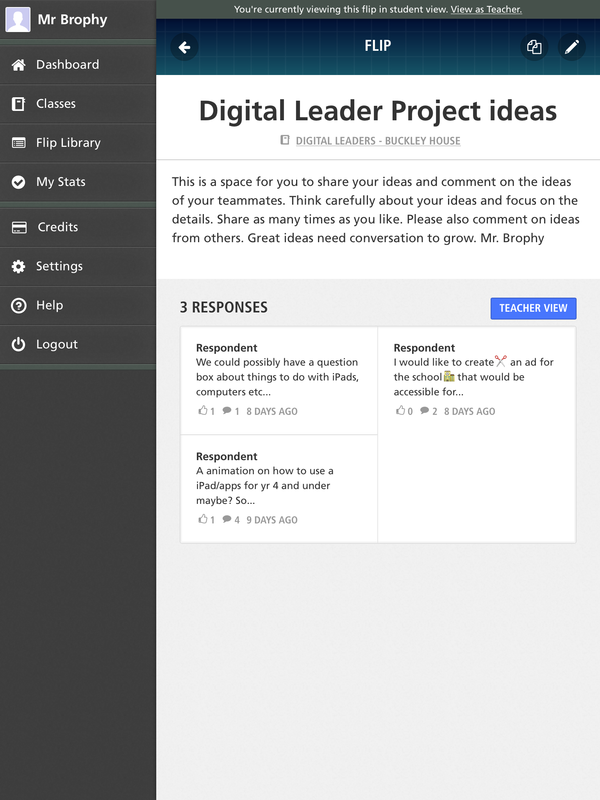 As with all groups, there was definitely the more vocal personalities and to ensure that all members felt like they had a voice, I have set up a Verso class where students can submit their ideas anonymously and comment on ideas that they feel are really worthwhile. 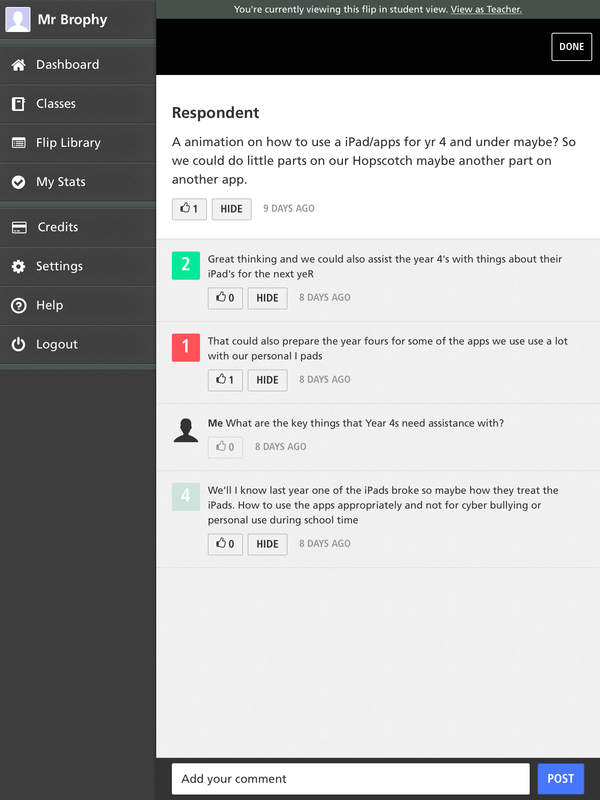 As the teacher I can view who has submitted each idea and the pictures below are from the Student view. To support the conversation and to promote cross campus collegiality, I have also set up a cross campus Edmodo group so that our conversation can continue past meeting times. 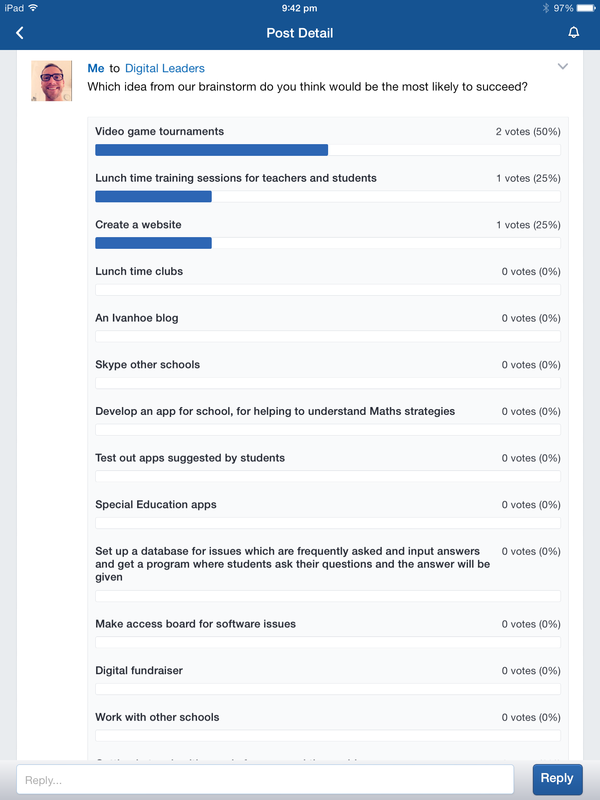 I put our collated list of ideas from our meeting on there to help us plan out the rest of the year. Each student will vote on their favourites. 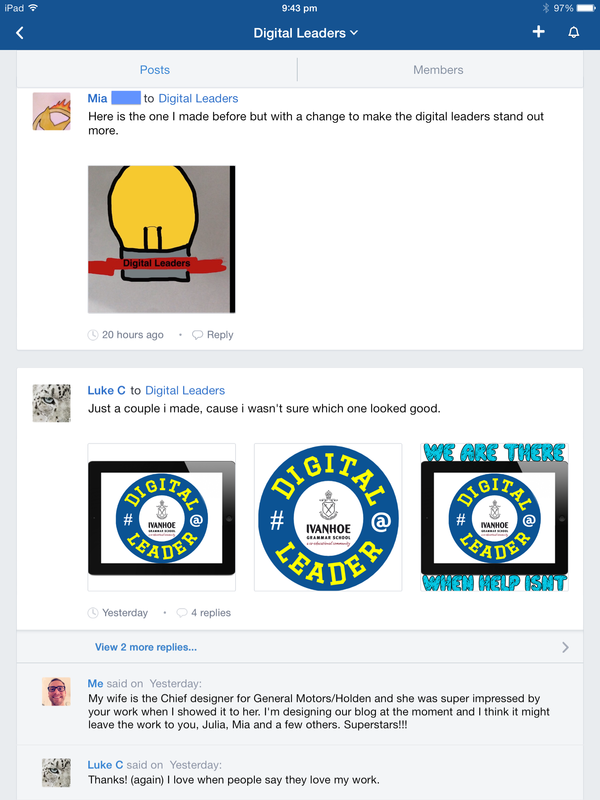 I also challenged the students to develop a logo for the Digital Leaders. I posted all of these things during the holidays and have already had students submit multiple ideas and contributions. Good ole learning, not just a 8.30-3.30pm thing. We are also setting up our blog so look out for that soon. To help kickstart the group, I have also give them holiday home learning. Learn how to use Hopscotch and then use this knowledge to run a lunchtime club on Hopscotch for students. My reasoning behind this was to shift the focus from technology to logistics. Learning and experimenting during three weeks break (yes very lucky they are) will allow them to upskill in programming and then we can spend our meetings time working on how to effectively organise a successful event. Each student was also presented with a Digital Leaders ID lanyard which they must wear when they are on duty. These were handed out at our assembly on the last day of term. Exciting times ahead!! Fabulous idea Steve. I really like the way you’ve set it up. I run a lunchtime computer club but I think it’s time to level up. I hope you don’t mind but I think I might pinch your idea.